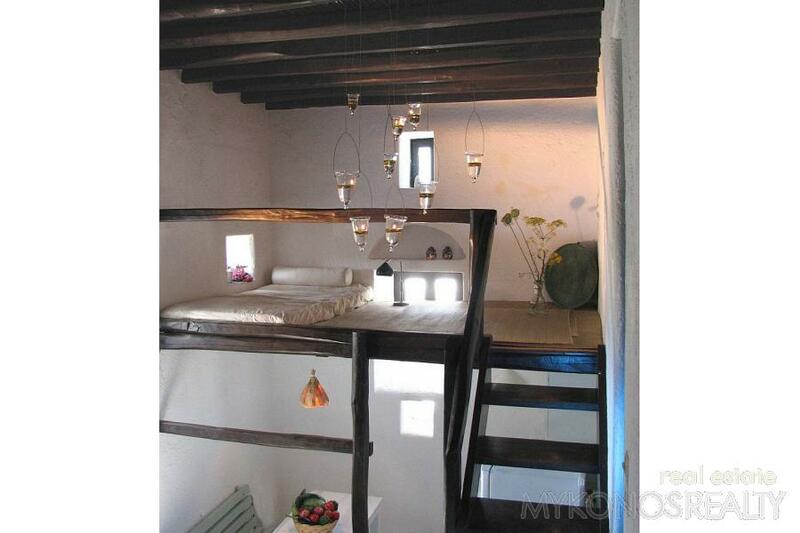 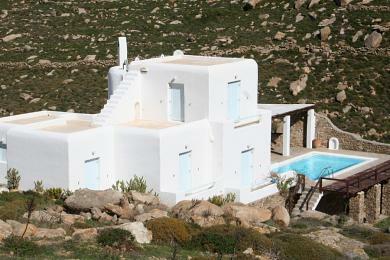 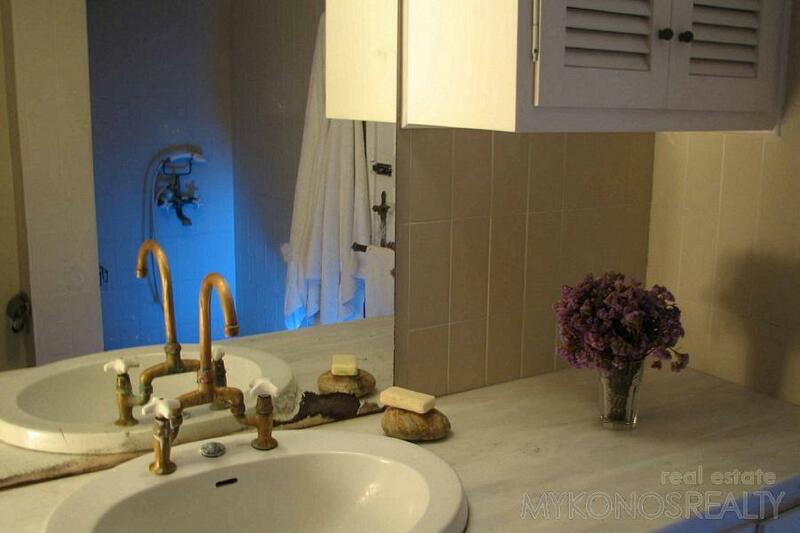 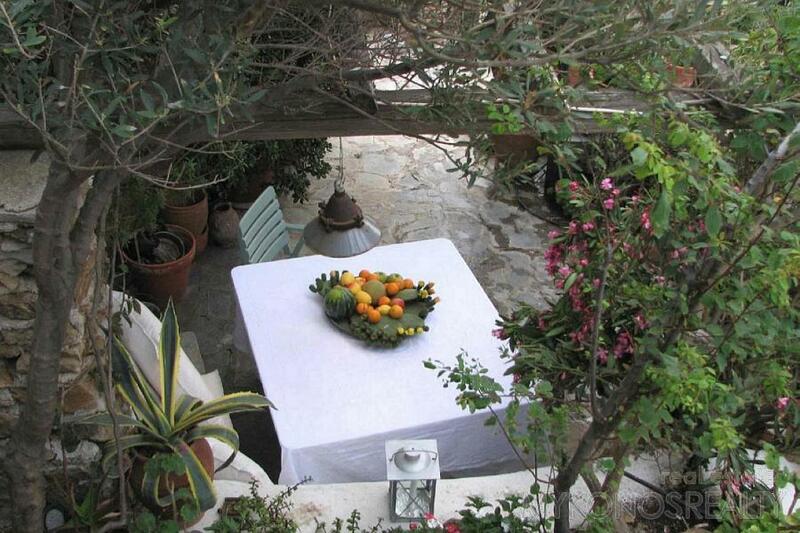 A traditional, original old stone house, in Mykonos - Ano Mera, fully renovated in the old traditional way and materials. 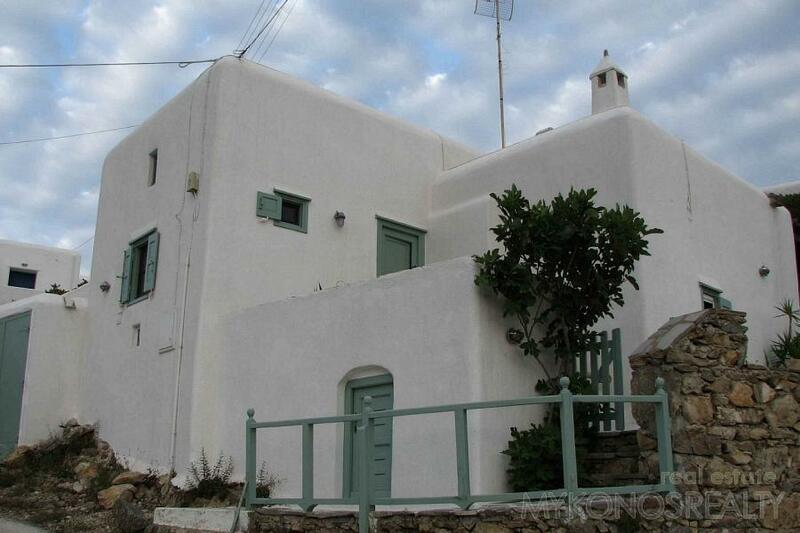 Strategically situated, in the center of the island, close to the beautiful south beaches of Elia , Kalo Livadi, Kalafatis, Lia, Fokos, Mirsini, etc. 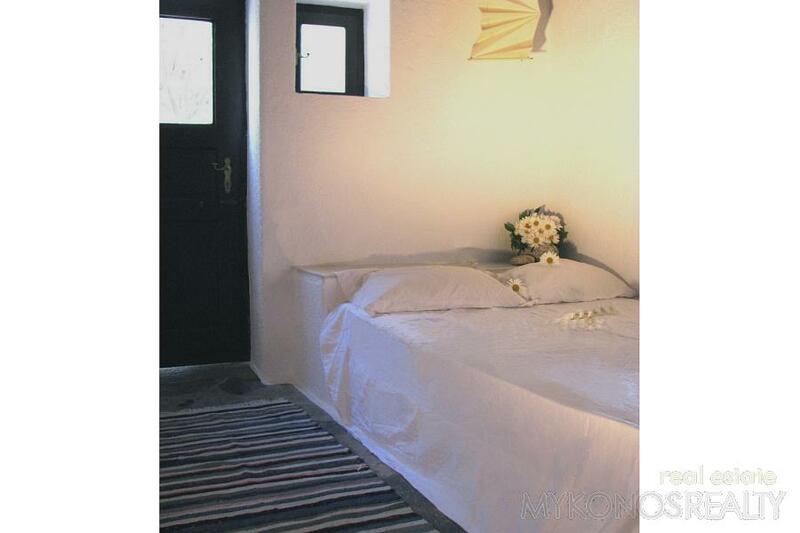 The house is in a quiet area, overlooking the village of Ano Mera with its famous ancient monastery, seven minutes walk to the village center. 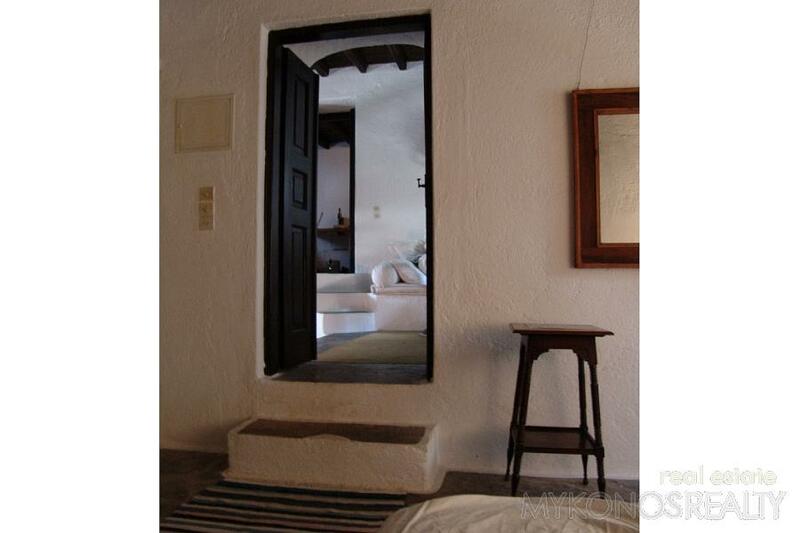 Its over 60cm. 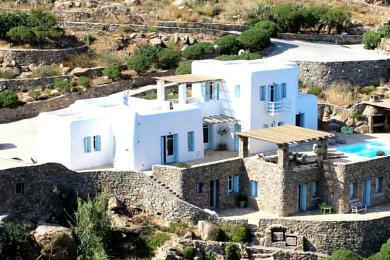 thick granite, stone walls, provide an excellent and ecological temperature balance and a feeling of deep calmness. 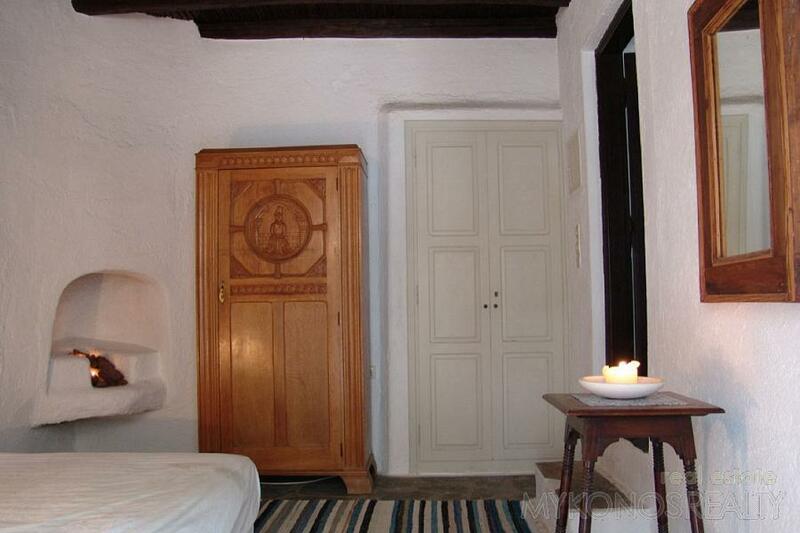 Elegant, stylish, simple, functional, fully equipped and furnished, with old, hand made, artistic pieces of furniture. 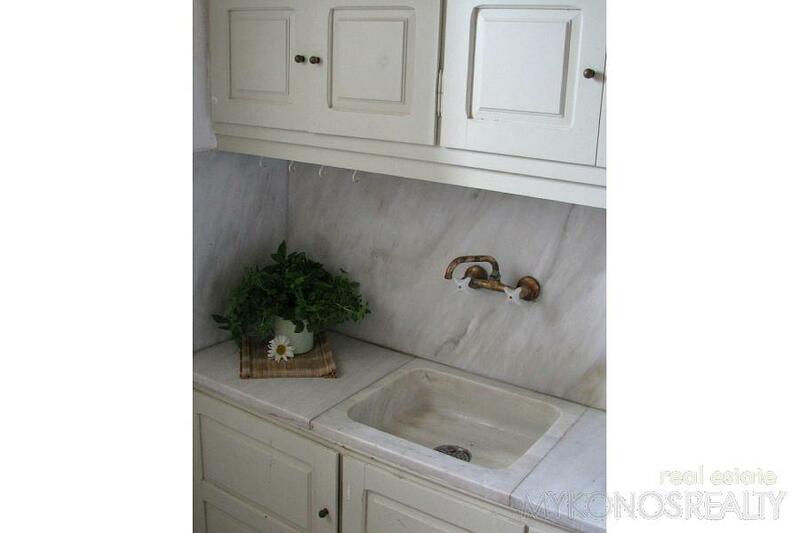 one full bathroom and one storage. 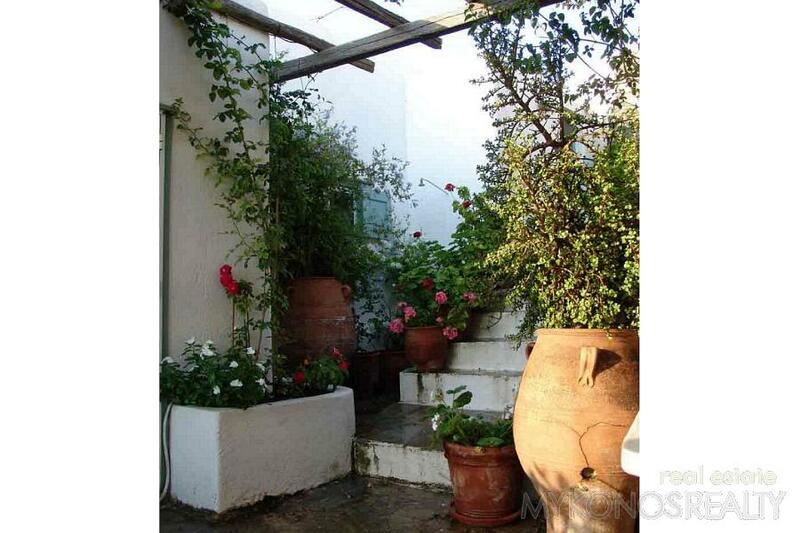 A well kept, adorable little garden, with a big variety of flowers and local plants, BBQ, overlooking the village and the monastery.